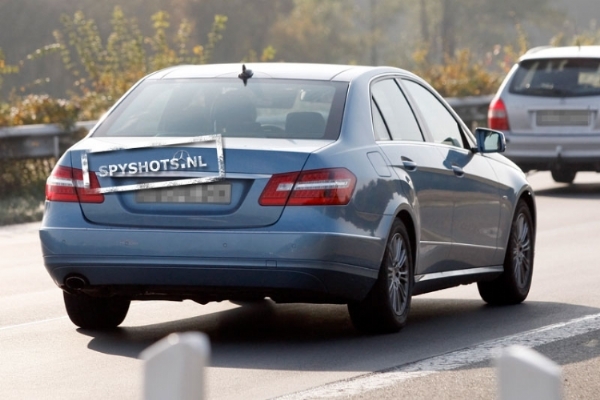 If these spy photos are anything to go by, Mercedes is readying a facelifted E-Class. Bursting onto the scene two years ago, this early prototype sports larger fog lamps with repositioned LED daytime running lights up front. Although the rear seems intact, we expect reworked tail-lights and a new bumper. The cabin will be touched up too, with new interior accents and improved technology. Mercedes will also use this facelifted to revise powertrains, so anticipate lower CO2 emissions, better fuel economy and performance. Furthermore, we expect new colours to be added to the palette. Watch out for a launch in mid-2012.